Throughout these years of blogging, you readers have blessed me with your comments and sharing… your support and purchase of my calendars and other crafts… your support of my affiliate status by clicking through to Amazon from my page… and on occasion, gifts of your time and actual items. 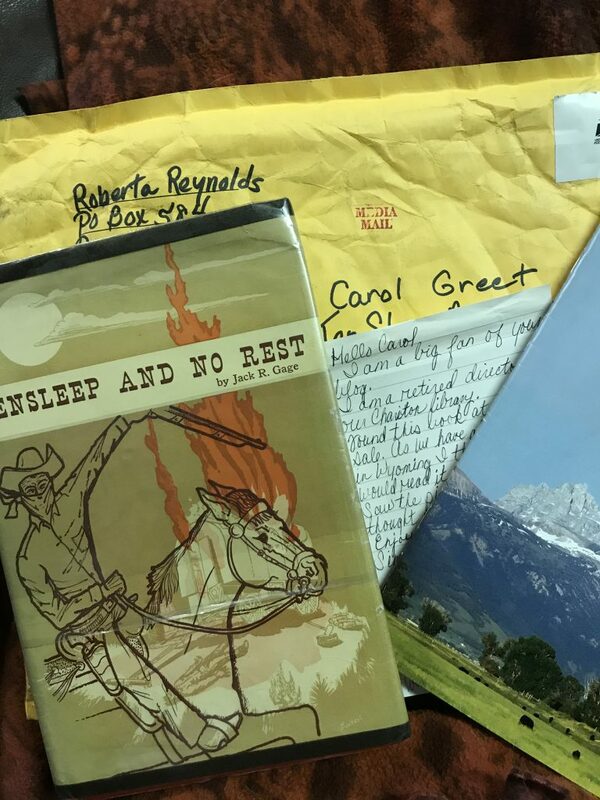 Last week I received a cool gift from a reader… She presented me with a copy of Ten Sleep and No Rest, a book which is considered a classic around these parts. It’s an oldie… about the same age as me! It is about the Spring Creek Raid and I’m happily reading it and thrilled to own my personal copy! Thank you SO MUCH, Roberta, I’m thrilled you thought of me! How very nice of her to do that. It looks like an interesting book about Ten Sleep! 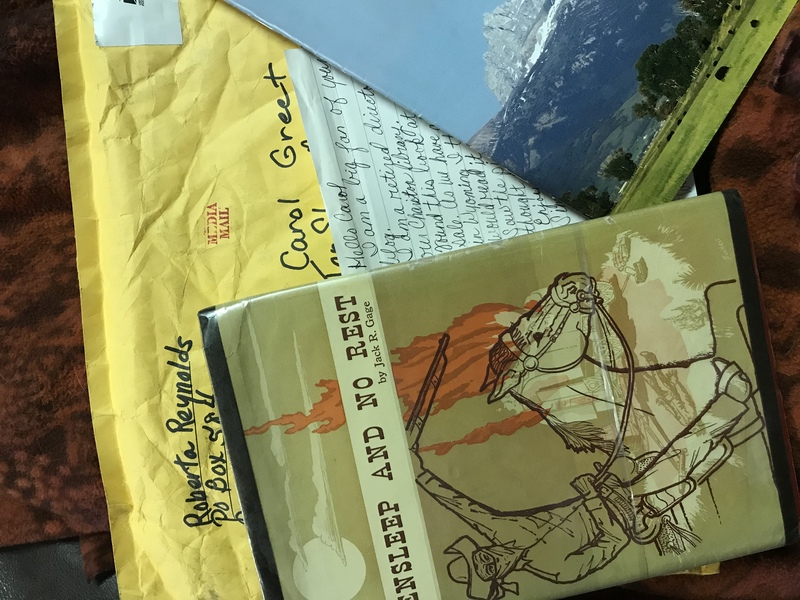 I am so glad you like the book! Enjoy! Thanks so much! It was so thoughtful of you! thru your stories & pictures you make us a part of your life & a chance to experience a life different than ours, it’s a big old world & so much to enjoy! Thanks so much for being a part of it!